Terrence J. DeWan & Associates is a professional landscape architectural and planning firm in Yarmouth, Maine dedicated to approaching land use opportunities with creativity, environmental sensitivity, and an awareness of client needs. The staff of eight is composed of professionals with backgrounds in landscape architecture, recreation planning, land planning, visual resource assessment, permitting, graphic design, model making, research, and technical writing. tjd&a is committed to appropriate design solutions that evolve from effective communication with the client and municipal and state officials. 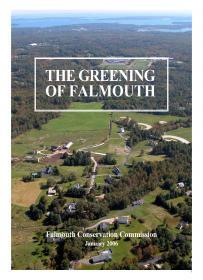 The firm has an underlying commitment to land stewardship and faith in the future of New England. Site analysis; single family homes; residential subdivisions; cluster housing; apartment and condominium complexes; land reclamation; commercial, institutional, and industrial site planning; landscape restoration. Site selection studies; open space planning; campus planning; waterfront planning; municipal comprehensive planning; zoning and land-use studies; resort communities; resource management studies; natural resource inventories. Municipal inventories; waterfront land use studies; park, playground and facility design; trail planning; recreation management. Community design forums; streetscape improvements; urban plantings, lighting, and signage design; corridor planning; pedestrian amenities. Scenic inventories; facility siting; highway location studies; transmission line studies; windpower visual studies, visual impact assessments; mitigation planning. 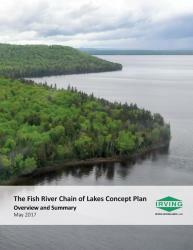 Coordination of applications under Maine's NRPA (Natural Resource Protection Act), Maine Department of Environmental Protection (DEP) Site Location of Development Permit, and Army Corps of Engineers Permits. Complete Construction Documentation; Specifications; Bid Packages; Construction Administration. Terry DeWan has over 40 years of professional experience in landscape architecture, visual resource assessment, site planning, design guidelines, and community development. His experience includes work with communities, state agencies, private developers, utility companies, and the forest products industry in New England. He has written numerous studies on community planning, visual impacts, recreation planning, water access, and highway corridor redevelopment. Eileen Butler's experience with business administration includes: contract reviews, project analysis, client billing, payroll management, personnel and insurance administration as well as property management issues. She enjoys tracking the numbers and overseeing the different areas of the business. During the years that Keith has worked in landscape architecture in Maine, Utah, and Virginia, his professional duties have included project management, contract administration, design, construction documentation, cost estimating, and production. His project experience includes work in sustainable design, parks planning, commercial development, and downtown redevelopment. Danielle's experience includes computer generated modeling, photosimulations, rendering, assisting with visual impact assessments, site planning and planting design. She has proficiency in numerous technical software programs. Since joining TJD&A in 2013, Steve's work experience has included site planning, photosimulations, rendering, construction documentation, and ArcGIS mapping. Steve graduated with High Honors from The University of Rhode Island, and has a background in Fine Gardening and Landscape Construction. Jessica came to TJD&A in 2014 with a background in both Planning and Landscape Architecture. She has experience in the public sector as a planner for the Town of Old Orchard Beach, and in the private sector as a member of Sasaki Associates. Jessica completed a graduate degree in Landscape Architecture at the University of Toronto in 2013. Her graduate thesis work was an adaptive design strategy to deal with the effect of climate change and rising sea levels for Portland's commercial waterfront, which was exhibited at The Portland Society of Architecture 'Waterfront Visions 2050' symposium in 2013. David joined TJD&A in 2014 after ten years practicing Landscape Architecture at Sasaki Associates in Boston. He spent the better part of the last three years there managing a team of consultants for the design and construction of Cincinnati's Smale Riverfront Park, a 42-acre $120 million project along the banks of the Ohio River. 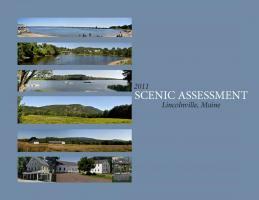 Since moving to Maine he has worked on a wide range of projects at various scales across the state. From a waterfront park in Bangor to a cliffside landscape in Oqunquit to a trails plan in Scarborough, and everything in between. 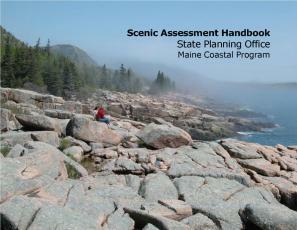 Central Gardens Master Plan, Coastal Maine Botanical Gardens, Boothbay, Maine. BSLA Merit Award for Landscape Analysis and Planning – Park Planning With EDAW (now AECOM). 2006. 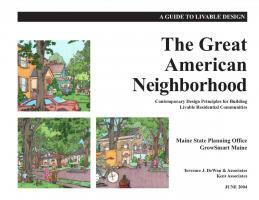 “From the River to the Bay”, A Parks, Recreation and Open Space Plan For Brunswick, Maine. BSLA Merit Award for Planning. 2003. Coastal Maine Botanical Gardens, Central Gardens Master Plan, Boothbay, Maine, 2006 Presidents Award of Excellence for Planning and Urban Design. With EDAW (now AECOM). Kancamagus Scenic Byway, Preliminary Facilities and Interpretive Media Plan, White Mountain National Forest, New Hampshire, Outstanding Project of the Year. Transit-Oriented Design (TOD) for Chittenden County, Guidelines for Planners, Policymakers, Developers and Residents. 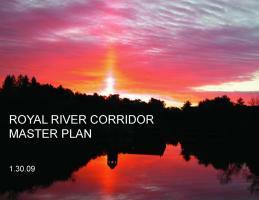 Chittenden Country Regional Planning Commission. With Wilbur Smith Associates. Project of the Year Award. Great Bay National Estuarine Research Reserve, Sandy Point, New Hampshire, Interpretive Media Award.